I discovered this vintage postcard on eBay this past week. 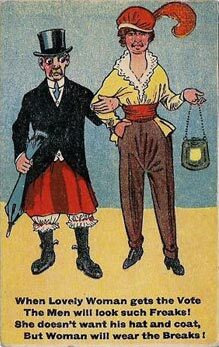 It is another anti-suffrage propaganda postcard, which predicted that males will wear the skirts after females get the vote. O dear...! Such partial dressing...hate it!